When I am alone I practice to eat mindfully. It makes me more aware of being in the moment, feels great and it helps me to stay more mindful in other ways too. I sit up tall, and I begin to ground down placing the soles of my feet towards the ground. I take a couple of deep breaths to connect my mind and body. Then I look a t my food, notice the smell, shapes, structure and colors of the food, and I embrace the energy that my body is about to receive. When I begin to eat I first of all take my time. While I continue to breath deeply I chew the food slowly, and I notice an improved taste for every inhalation I receive, and I embrace it. 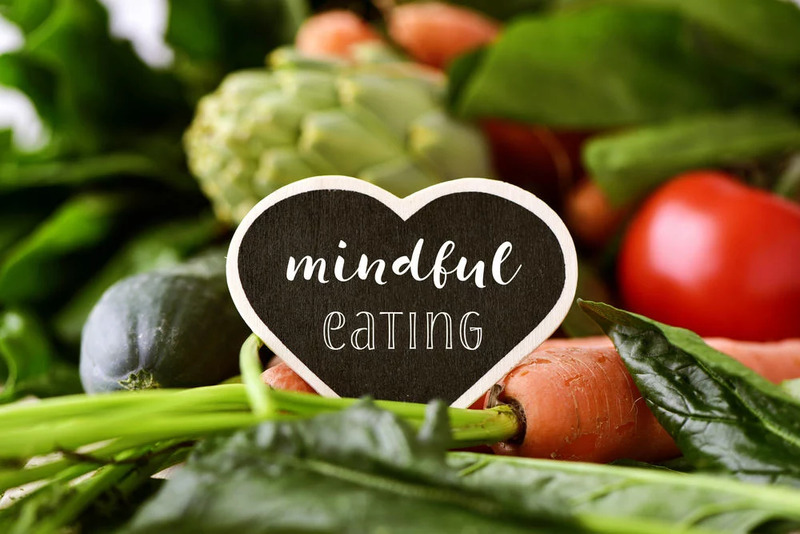 As I am eating while I am aware of the taste and my breath, I notice that I have a better connection between my mind and body, and I can more easily feel when I am full, and it comes naturally to me to stop eating when I am full. I also get more aware of what I am eating and I do not enjoy preprocessed food as much.